Whenever our guests come to town, they always ask about the best parts of the National Park to visit. 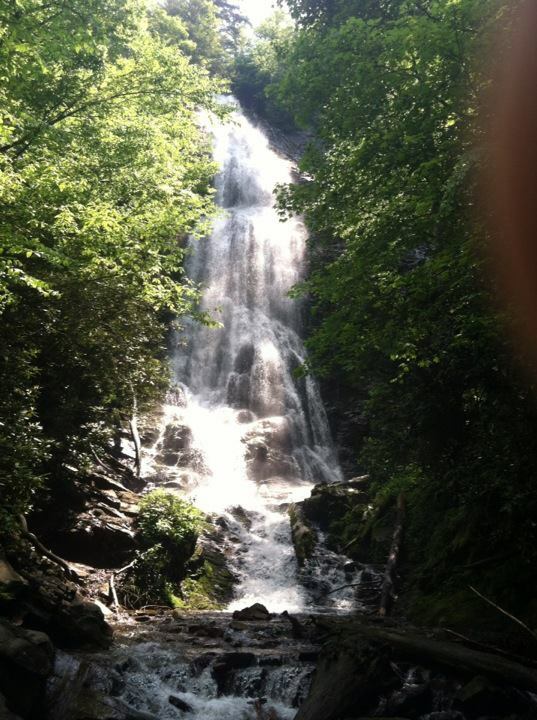 Here are some sights accessible from Newfound Gap Rd that the Park recommends. Newfound Gap runs almost exactly through the center of the Park and offers gorgeous views at little pull-offs all along the way! If you don’t have much time or energy, but are eager to experience some great views of the Park, this may be the path for you! The Alum Cave Bluffs are 100 feet high, and have been in the past, the source of alum, a compound sulfate used in munitions manufacturing, in medicines, and in setting cloth dyes. They were also supposedly a source of saltpeter for Civil War gunpowder. The Alum Cave Bluffs Trail begins at Newfound Gap Rd between the Newfound Gap and Chimney Tops overlooks, and is a popular destination for day hikers. The trail is pretty strenuous at the end. It is 2.5 miles to the Bluffs, and 5 miles to Mount Le Conte. A bald is an open, unforested area on a mountain ridge. Naturalists can’t explain for sure how they happen, but it could be due to overgrazing or repeated fires set by humans. 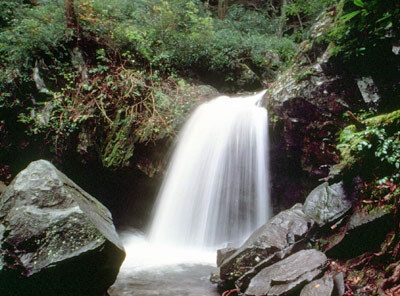 Andrews Bald is the easiest bald to reach in the Great Smoky Mountains National Park. It is located 1.8 miles south of Clingman’s Dome, by hiking trail. It has beautiful view, and the open fields, containing mainly grass and flowering shrubs, make it a nice picnic spot! This is one of my husband’s personal favorites! He loves the views and it is the perfect day hike for him. He does it in a morning usually. In 1925, a forest fire swept through this section of the Park and exposed the ridge now know as Charlies Bunion, opening up sweeping views of Mount LeConte and Greenbrier. This trail is 4 miles one way. These roads include historical sites such as homesteads, cabins and a cemetery from a village that was home to about 24 families about 150 years ago! This is often hailed as a mini-Cades Cove, closer to Gatlinburg, a smaller loop, and usually less crowded, but still great for viewing wildlife and historic buildings! The Roaring Fork Motor Nature Trail is closed in the winter. In addition to the actual Chimney Tops Trail, the Chimney Tops picnic area, nearby, is in my opinion a destination of its own. It spreads along a beautiful mountain creek with tons of rocks to play on, and plenty of shallow spots to wade in! There are, of course, numerous picnic tables at which you can enjoy a meal. I have spent the whole day there before, reading, playing in the creek, and just generally relaxing and enjoying the lovely atmosphere! If you are interested in a little more action, continue down the road to the Chimney Tops Trail, and hike up to the Chimneys themselves on a strenuous four-mile round trip trail. This amazing rock formation is sheer pinnacles, looking somewhat like a couple of chimneys sticking up into the air. They said that when that blue mist rolls through the mountains, some of it goes in a cavity at the bottom of the formation and then rises out the open tops, looking very much like a smoking chimney! Clingman’s Dome is one of the most popular sites in the Smokies, and with good reason! It is the highest peak in the Smokies, at 6,643 feet, and though the top is covered with spruce and fir trees, there is an observation platform from which you can see a spectacular 360 degree view! The path to the observation platform is steep, but only a half-mile. Even the most out-of-shape person can make it! Just take frequent rests and bring plenty of water and a snack! If you are interested in historical buildings, this is a great place to stop! One of two water-powered mills still in operation in the Park, from mid-April through October, a miller grinds corn and wheat to make cornmeal and flour. This attraction is wheelchair accessible. Mount LeConte is considered one of the most beautiful mountain peaks to look at, and one of the most difficult to climb. It is a badge of honor to have climbed LeConte. I have a few friends who climb it at least a few times a year. My husband likes to go up there, and he usually ends up running most of the way down due to the steep grade! This is the third-highest peak in the Smokies, at 6,593 feet. Near the top, is LeConte Lodge, where some opt to stay the night and rest, and others stop for either a cool drink or a cup of hot cocoa or coffee, depending on the season. You will need to make reservations well in advance if you plan to stay at the Lodge overnight. There are no roads up to the Lodge, and all supplies are delivered by llama train! There are 5 different hiking trails on LeConte: Boulevard Trail via the Appalachian Trail starting at Newfound Gap. 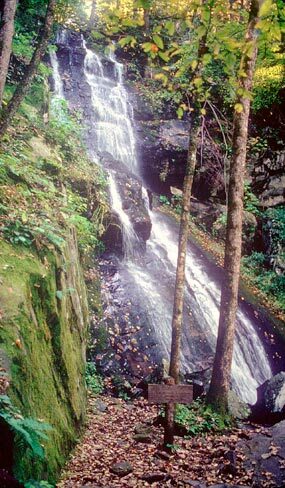 16 miles round-trip; Alum Cave Trail at the Alum Cave parking lot on Newfound Gap Rd, 11 miles round-trip; Rainbow Falls Trail or Trillium Gap, each 13.4 miles round-trip; or Bull Head, 14.4 miles round-trip from Cherokee Orchard. Oconaluftee was settled around 1800, and is now home to Mountain Farm Museum, just a short walk from the Oconaluftee Visitor Center. The Museum replicates a 19th-century farm, including a house, barn, corncrib, sorghum molasses mill and blacksmith shop. From the spring through October, there are costumed interpretive demonstrations. We are thankful indeed for the bears! What amazing creatures they are! And so many of you have enjoyed coming and catching those hoped-for glances of bears! The bears have been more active than ever this year, even enjoying the candy shop downtown. They seem to enjoy doing their best to rip up our trash cans! And if that doesn’t work, for some reason they seem to enjoy our hot tubs almost as much as you do! This year we had a wonderful time at our 13th Annual ERA for MDA Golf Benefit, in which we were able to raise over $12,000 to send local Muscular Dystrophy kids to a camp where they can experience life without limits! We enjoyed two great meals, a wonderful golf game, and a hilarious auction, all of which raised money for MDA! The snow seems to finally be gone, the temperatures are getting just warm enough to be quite lovely, the trees are starting to bud, and the sound of bird song can once again be heard in these hills! Spring is just about to begin! And believe me, we are poised on the edges of our seats just waiting for Spring to burst upon us in all its fullness! In perfect harmony with the awakening of Spring is the Awakening of the Great Smoky Mountains National Park! Primary Roads, such as US-441 (Newfound Gap Road), Little River Road, and the Cade’s Cove Loop Road are pretty much open year round, weather permitting. Cade’s Cove Loop Road is currently closed due to construction to improve the road, but will be opened again by May 21! Secondary roads are opened seasonally. Little Greenbrier and Straight Fork/Round Bottom opened March 12! Parson Branch, Rich Mountain, and Forge Creek Roads will open by May 21. The Roaring Fork Motor Nature Trail and Heintooga Ridge/Balsam Mountain Road openings will be delayed to May 28, and the Clingman’s Dome Road will open on May 29. The Park has 10 developed campgrounds at different locations throughout the park! The Cade’s Cove Campground is opened year round and is not affected by the Cade’s Cove Loop Road Construction. Abrams Creek, Big Creek, Cataloochee, Cosby, and Elkmont Campgrounds opened March 12. Deep Creek is set to open April 1, and Look Rock will open May 14. Due to some road repair work, Smokemont and Balsam Mountain Campgrounds will delay their opening til May 28. Several group campsites are also available, and reservations must be made through the National Recreation Reservation Service. Group Camping was made available starting March 12 at Big Creek, Cataloochee, Cosby, and Cade’s Cove. Deep Creek will open on April 1, Elkmont on April 10, and Smokemont on May 28. Also, of interest to some are horse camps, and opportunities for back country camping! There are 10 different first-come, first-serve picnic areas. 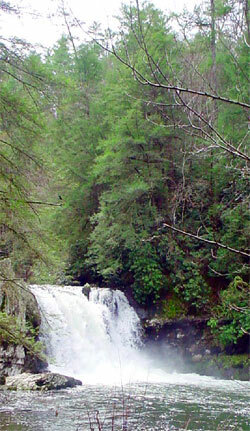 Big Creek, Cades Cove, Chimney Tops, Cosby, Greenbrier, Deep Creek, and Metcalf Bottoms are open year-round. Collins Creek Picnic Area opened on March 12, Look Rock will open May 14, and Heintooga will open on May 28. The Park’s largest picnic pavilion at Twin Creeks is scheduled to open April 28. There are five other picnic pavilions that can be reserved in the following picnic areas: Collins Creek, Cosby, Deep Creek, Metcalf Bottoms, and Greenbrier. There are several horseback riding and related activities available in the Great Smoky Mountains! Smoky Mountain Riding Stable opened March 6, the Sugarlands Riding Stable opened March 13, and the Cades Cove Riding Stable will open April 1. Cades Cove offers not only horseback rides, but also carriage rides. The carriage rides, however, will not be available until the Cades Cove Loop Road opens. They will also be offering wheelchair accessible carriage and hay rides. To find tons of other fun things to do during your stay in the Smokies, just use the Search feature on our website! 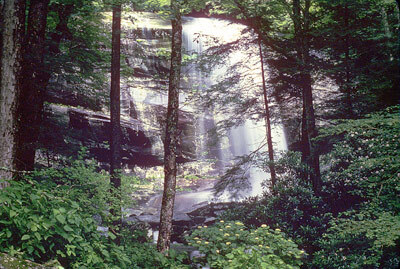 For other detailed information about the Smoky Mountain National Park, visit their website!